Welcome to Pantysgallog Nursery class page. 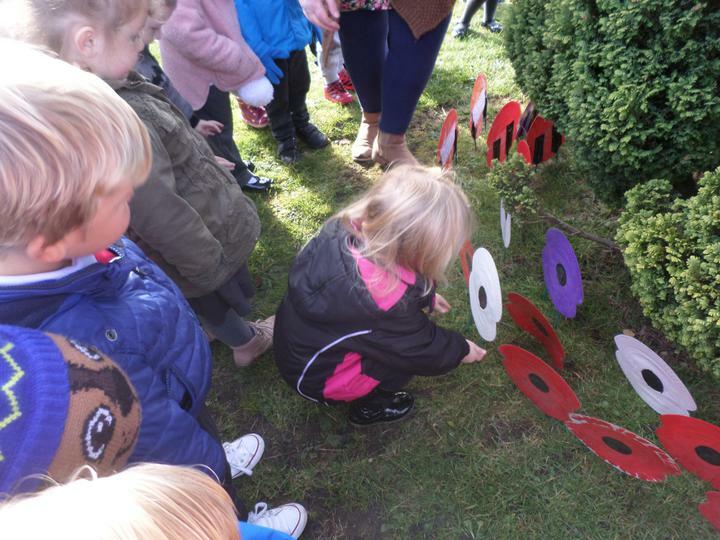 Personal and Social development and the well-being of our children is at the heart of our nursery provision. 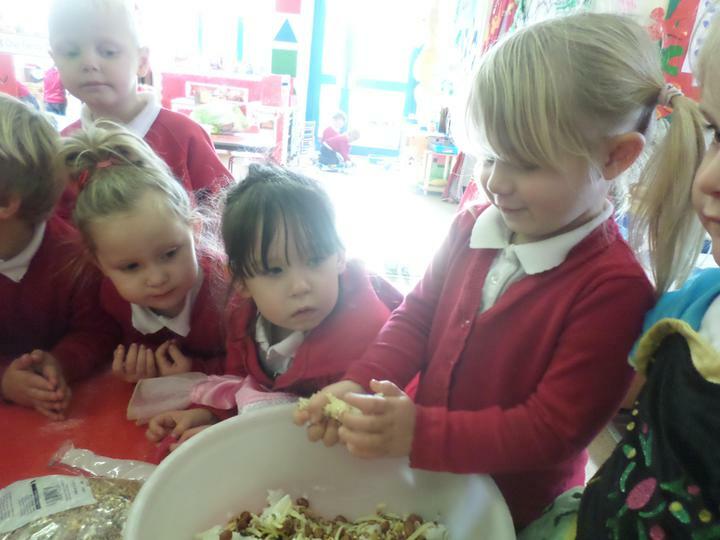 A small glimpse of nursery life. 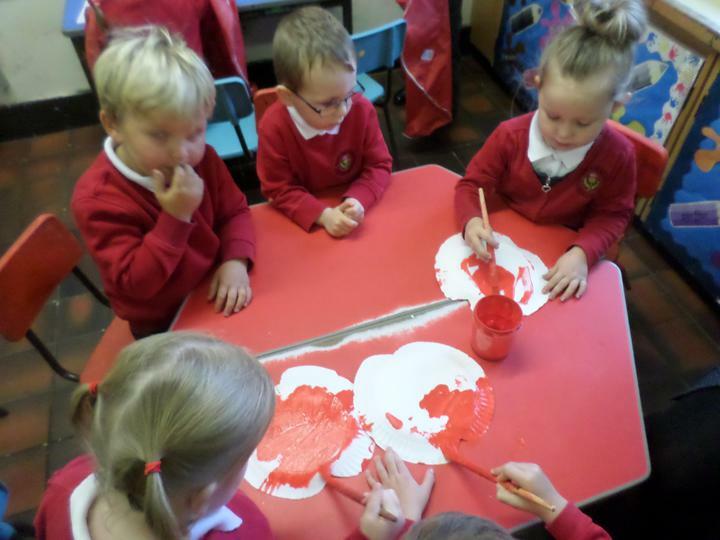 This week we've been preparing for Remembrance Day. 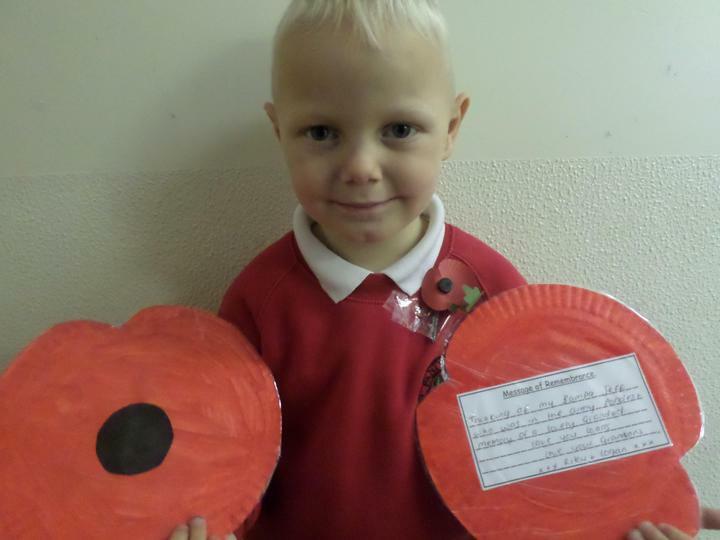 Each child made a poppy and their families were given the opportunity to add their own personal remembrance message. 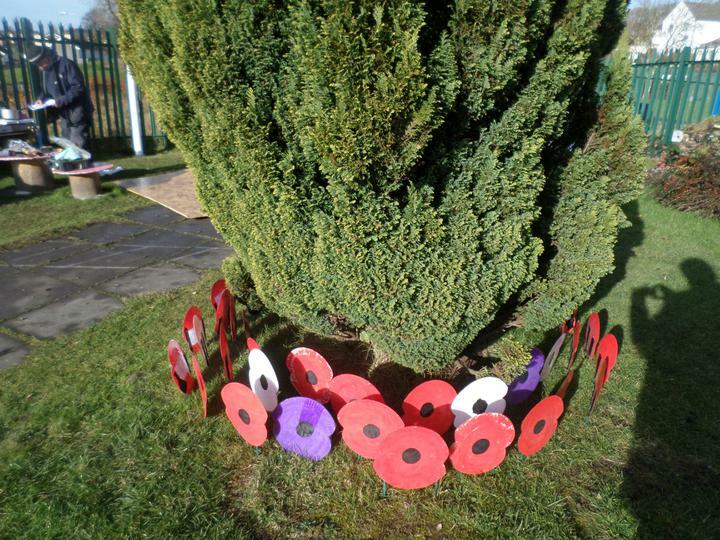 When messages were added we placed our poppies in our garden area. 35 red poppies to remember soldiers lost in conflict. 5 purple poppies to remember animals lost in conflict. And 5 white poppies to signify hope and peace were planted. We have been discussing the changing of seasons. Autumn to Winter. We discussed how the change in weather effects our environment and decided to make some bird feeders, so the birds who visited our garden area have enough food in the cold months ahead. First we added wild bird seed, peanuts, cheese and lard into a bowl. 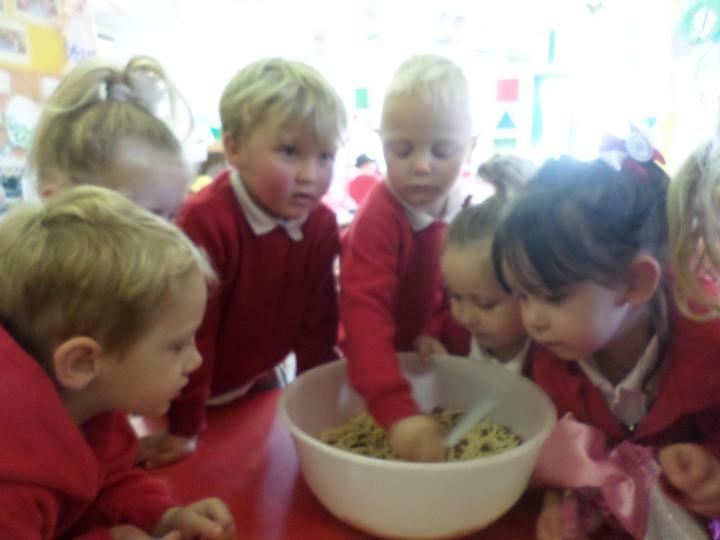 Next we mixed it all together using our hands and squeezed the mixture into a cup. 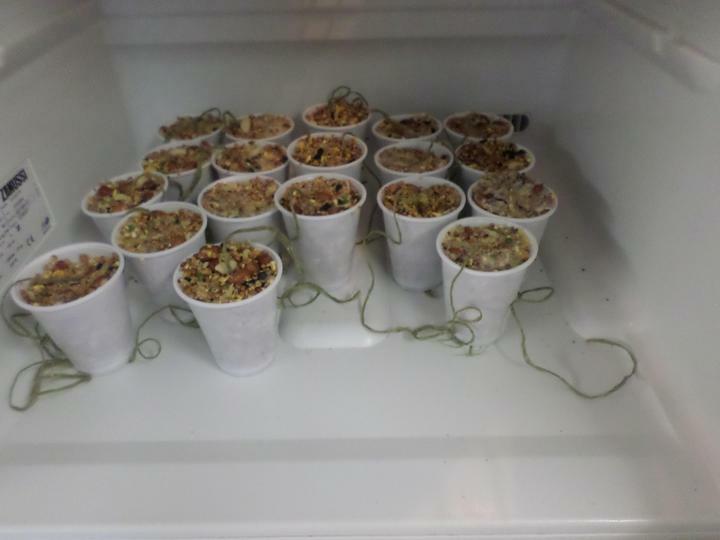 After that we placed our mixture filled cups into the fridge to set. 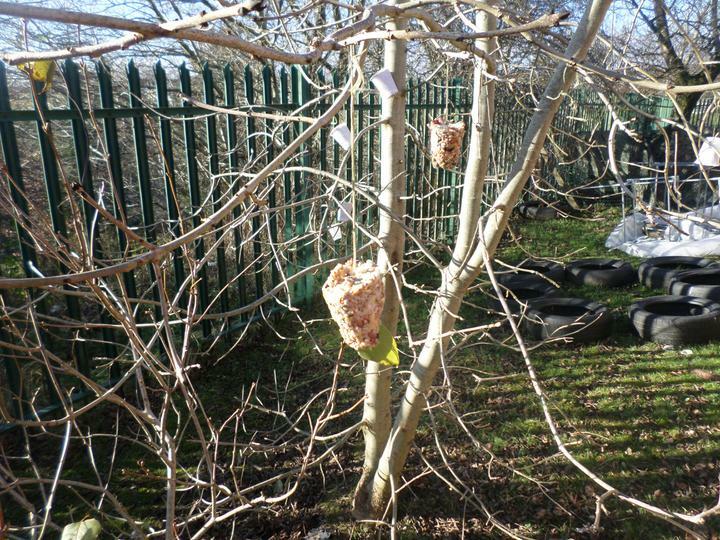 Finally we placed our bird feeders on the trees in our nursery garden. 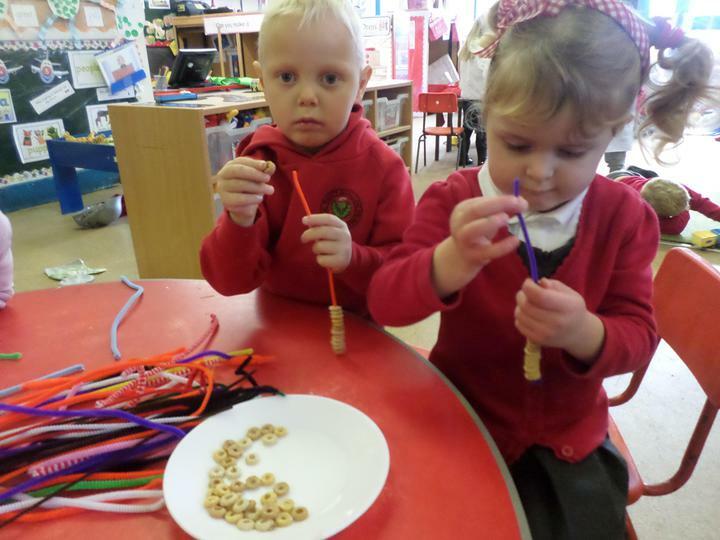 We also used our fine motor skills to thread cereal onto pipe cleaners to make bird feeders, and hung these in our garden also. As part of our outdoor learning we visit Garwnant every week.